With comprehensive commercial experience, here at Pers Removals we know how to make any commercial premises transition as smooth as possible. If you’re looking for an office removals specialist in North London, Pers Removals is the only name to consider. 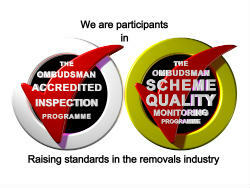 We have the resources and know-how to provide complete office removal for SME’s and Blue-Chip clients alike. We enjoy a reputation that’s second to none. This is because we have consistently delivered a commercial service that exceeds the expectations of our clients. 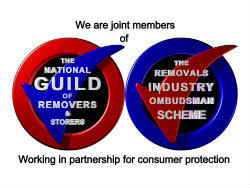 Here at Pers Removals we take the time to understand the needs of your business. This allows us to learn the scope of your removal project in addition to any tailored spatial requirements. This preparation allows us to make sure that your commercial removal project is executed with optimal efficiency. Given that we adopt a tailored approach to each of the North London office removals projects that we undertake, we are capable of easily moving your office from one location to another. We employ professional surveyors. This allows us to design a meticulous moving plan that takes into account a wealth of considerations. From building access to timescale, bespoke requirements, and the surrounding area, we ensure that the whole process runs as smoothly as possible. On the day of relocation we will be with you every step of the way, co-ordinating the process with clear and direct instructions. This includes the placement of furniture and equipment. We even employ IT professionals and, if necessary electricians. 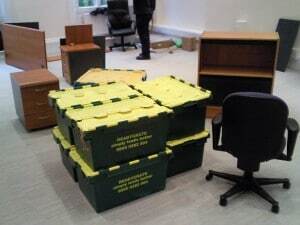 To find out why we are considered to be one of the leading office removal specialists in London, or to ask us any questions, contact us today.